Back in September, the fashion world stopped when Hedi Slimane presented his debut SS19 collection for French fashion house Celine. 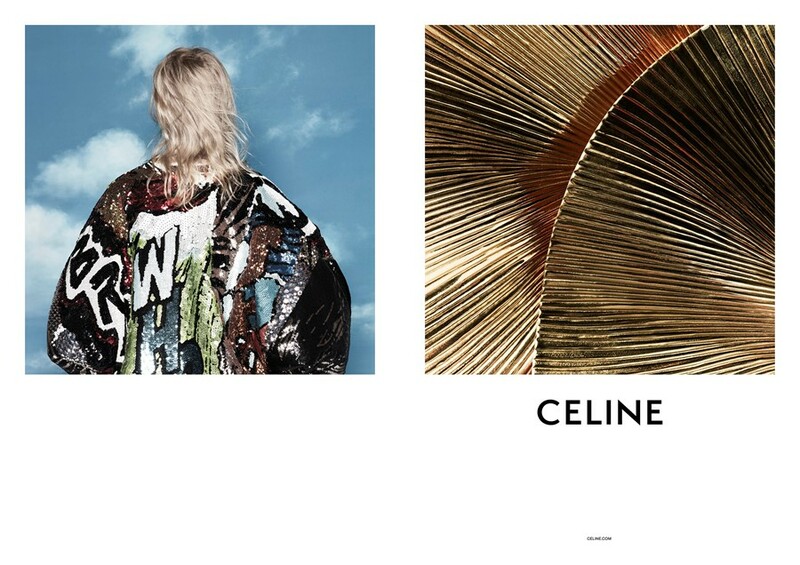 But now, the earth continues to spin, as Hedi Slimane, the creative, artistic, image director of the label has released a photo series from the new Celine SS19 womenswear campaign, which, of course, he himself shot. Taken by the ex-Dior Homme and Saint Laurent powerhouse, the series is made up of four diptychs which feature Dazed cover star and Celine opener Hannah Motler. There’s sparkles, satin, sequins, embroidery, and interesting textures abound. There's also a glimpse of a colourful sequin bomber, designed in collaboration with Christian Marclay; the artist's prints were a pop of light in the predominantly monochromatic offering. The summer collection is called JOURNAL NOCTURNE DE LA JEUNESSE PARISIENNE, which according to trusty Google translate, means “NIGHT JOURNAL OF THE PARISIAN YOUTH”. On the runway he decked out his girls in club-ready sparkly party dresses, puffball skirts, and oversized jackets and blazers, while his moody men were layered in turtlenecks, trench coats, drainpipe jeans, and classic black sunglasses. The complete collection will be available in Celine stores in February 2019.